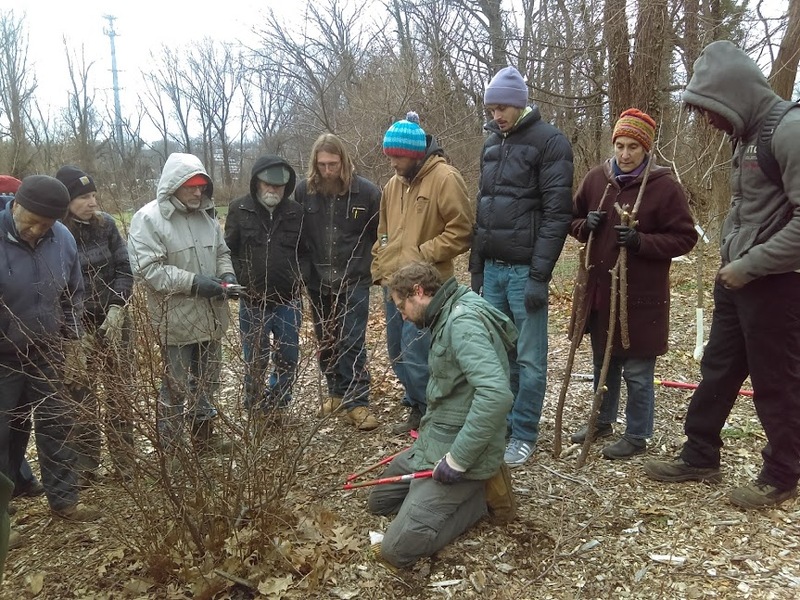 POP kicked off its newest training program last Wednesday, March 8th at Bartram’s Garden called POPCORE: Community Orchardist Resilience Education. An endeavor to realize the potential and beauty of fully productive, well cared-for eco-orchards in every neighborhood, POPCORE seeks to encourage the self-sufficiency of our partners and connections between partners in close geographical proximity through group trainings and face-to-face sharing between partners. With increased knowledge, attention, and combined resources, the average community orchard has the potential to produce hundreds of pounds of varied produce per season in addition to being a safe, beautiful outdoor space for gathering and education. 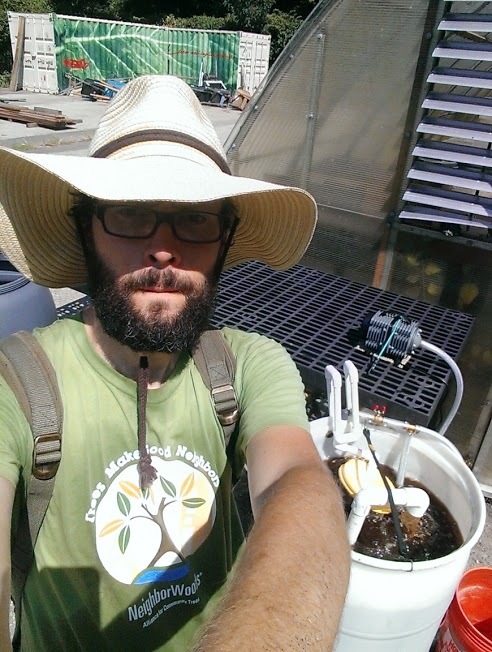 POPCORE combines many elements of orchard stewardship, ecosystem design, and food uses that POP has learned over the past ten years, synthesized in a 4-part series that can be taken as one-off classes or in pre-season series. 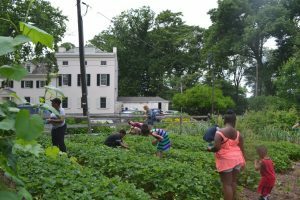 Hosted back-to-back over four Wednesdays in March at Bartram’s historic garden, the course covers Pruning and Eco-orchard Seasons (March 8), Pest and Disease Management (March 15); Plants, Fungi, and What To Do With Them (March 22); and Permaculture and The Future of Philadelphia’s Food System (March 29). Registration info here. 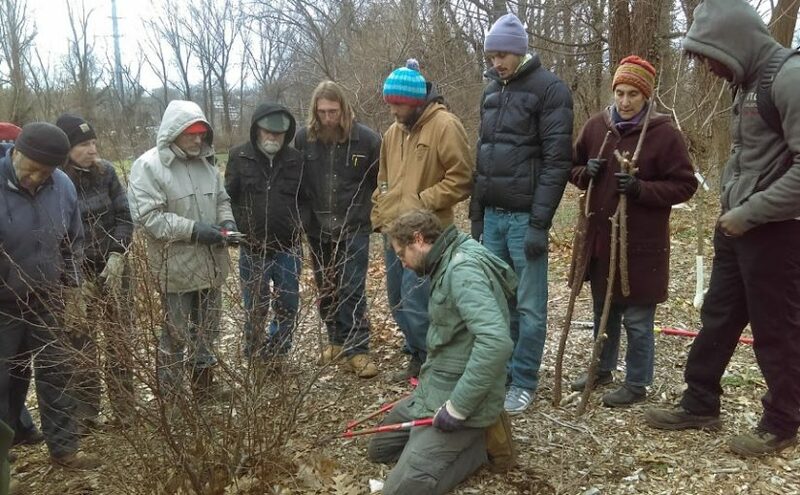 The first class taught by POP Executive Director Phil Forsyth and Orchard Director Robyn Mello drew 21 participants, who came from a span of neighborhoods throughout the city to learn about orchard care through the seasons and the specifics of pruning fruit trees, berries & brambles, and fruiting vines, with a pre-class hands-on pruning demo hosted in Bartram’s Community Orchard. 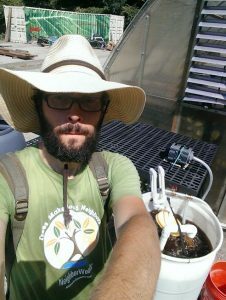 For the health of your orchard, seasonally-appropriate care is important and POP wants you to succeed! Check out POP’s Resource Guide for PDF-downloadable handouts on topics covered during POPCORE’s first session, including orchard care by season (summarized below) a guide to pruning, and relevant POP blog posts linked below. Students learn techniques for wintertime pruning of fruiting shrubs in Awbury Arboretum’s food forest. PRUNING. For best production and tree health, all common fruit trees regardless of age should be pruned during their dormant season every winter, ideally between late January and early March. The basic idea is to open the tree to more air and light. Check out POP’s guide to Pruning Fruit Trees and Pruning Bushes, Brambles, and Vines. REMOVE MUMMIFIED FRUIT. Any fruit left hanging on the tree is a potential source for disease spores. Pluck and remove any mummified fruit from the orchard during pruning. SPRAY DORMANT OIL. Apply horticultural oil, neem oil, or vegetable oil at 4% dilution to smother overwintering eggs of insects including aphids and scales. Check out POP’s guide to Dormant/Horticultural Oil Sprays. MAINTAIN ORCHARD EQUIPMENT. Clean and sharpen all orchard tools. Order orchard care supplies. 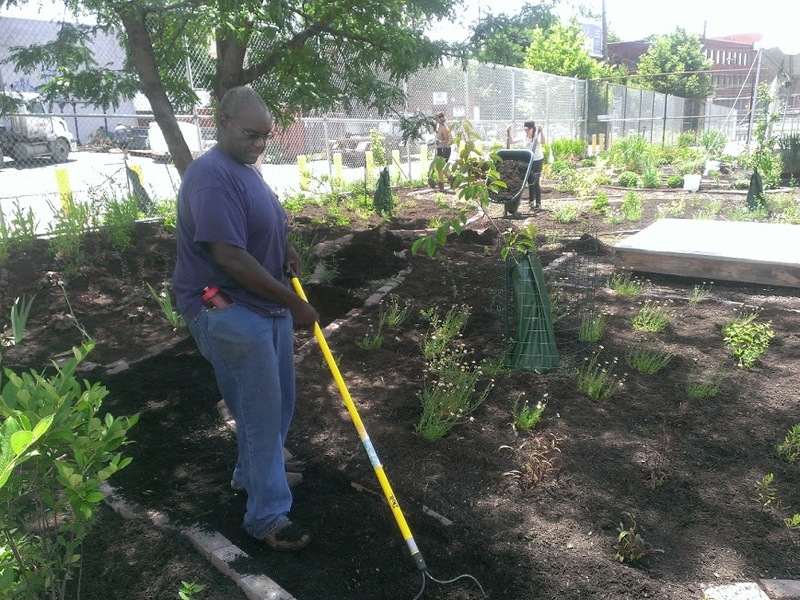 For PHS City Harvest participants, check out a related training on Tool Care on Saturday March 25th from 10am-noon or visit POP Partner The West Philly Tool Library for information on tool rental and care. APPLY MULCH/COMPOST. Spread chipped winter prunings, shredded leaves and/or compost. Check out POP’s guide to Ramial Wood Chips and Weeding in Place. HOLISTIC ORCHARD SPRAYS. Holistic sprays are composed of compost tea, liquid fish/seaweed, neem oil, and/or effective microbes. For best tree health and resistant to disease, apply up to 4 times in the spring (after bud break, at first pink of flowers, after petal fall, and two weeks after petal fall). Depending on specific pest or disease problems, some orchardists might also consider other organic sprays including the ones listed below. TRAINING. New growth can be trained to better angles using clothespins, branch spreaders, or tying to weights. THINNING. In late May or early June, young fruitlets on peaches, apples, pears and Asian pears, and some plums should be thinned by pinching off with fingers or pruner. Peaches should be thinned to 8” apart, apples and pears to 5”, and heavy-bearing plums to 5” on the tree. Also at this time, all fruit should be removed from any newly planted trees. Check out POP’s guide on Thinning Fruit Trees. BAGGING FRUIT. Place ziplock, paper, or nylon bags around young fruit (especially apples) to protect them from some insect and disease challenges. Check out POP’s guide to Bagging Fruit. HARVEST. Pick fruit as they ripen, spring through fall according to fruit type. Remove or compost any fallen fruit to reduce potential pests and disease. Check out POP’s guide to Summer Harvest Timing and Equipment and Late-Season Fruit Ripeners. MONITOR. Observe orchard regularly throughout the year for pest and disease problems, identify and respond appropriately with trapping, removal, or possible applications of kaolin clay, neem oil, Bt, pyrethrin, etc. EMERGENCY PRUNING. Remove diseased or damaged wood, root suckers, and watersprouts any time of year. Be sure to sterilize tools with alcohol or bleach solution between each cut. In some cases, additional structural pruning may be done in early summer to minimize regrowth, but avoid anything but emergency pruning after July. For more information, check out this POP guide to emergency pruning. APPLY COMPOST. After most leaves have fallen, spread a layer of compost or spray compost tea. An annual soil test can reveal any other specific nutrients or amendments that should be added. Check out POP’s guide to Autumn Composting. We hope this seasonal breakdown provides you with a solid overview to ready yourself for maintaining the health and productivity of your orchard. Hope to see you in a POP CORE class soon!